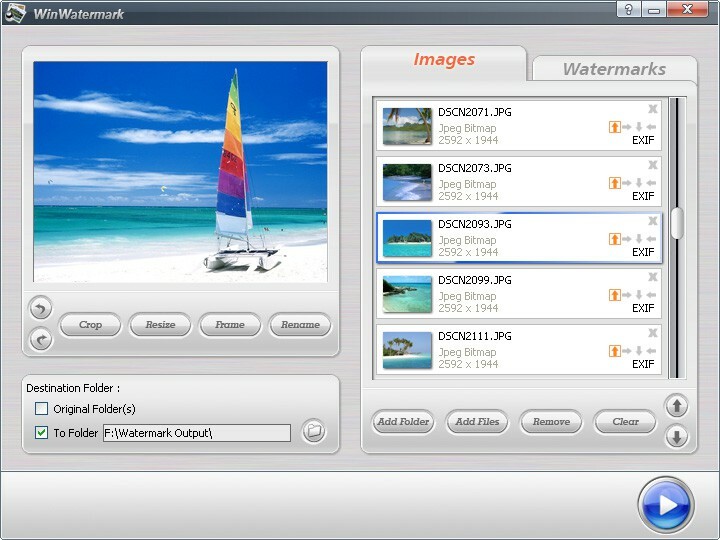 Win Watermark Software can add text or image watermark to any picture, protecting them from unauthorized distribution. Besides watermarking, it is also a useful and simple photos editor. You can personalize your photos using attractive frames; adjust image size to meet you need, resize images with high quality, rotate and rename your pictures, and convert your images to other format to save your disk space.